Medicare Plan F on the options has been the most popular over the years due to total coverage of what Medicare Part A and Part B does not cover. However, Plan F and the other Medicare Supplement plans have been quite high in cost. This has caused lots of seniors to opt out of Medicare Supplement plans and go to its “cousin” plans called Medicare Advantage, which have co-pays and more out-of-pocket costs. So Medicare Plan N has been designed to be a cost-effective solution that competes directly with Medicare Advantage plans. We feel Plan N will be a strong second option for those who do not desire to go with Medicare Advantage. Plan N works like Medicare Advantage plans by requiring the policyholders to share the cost of their treatments, but without using a network. This means they may go to any doctor that takes Medicare patients, and have much lower out-of-pocket costs to them. Thus, Plan N makes the traditional Medicare Supplement a lot more attractive to those lower-income seniors and to those who are healthy and would not otherwise see the need for an insurance plan to cover what Medicare Part A and Part B does not cover. Due to the rising medical costs across the board, CMS (the government entity that controls Medicare) is likely going to structure future plans so that seniors are going to have to share the medical-cost increase with the government. The US government has added two new plans to the Medicare Supplement options called Plan M and Plan N. These two plans will start being available June 1, 2010. 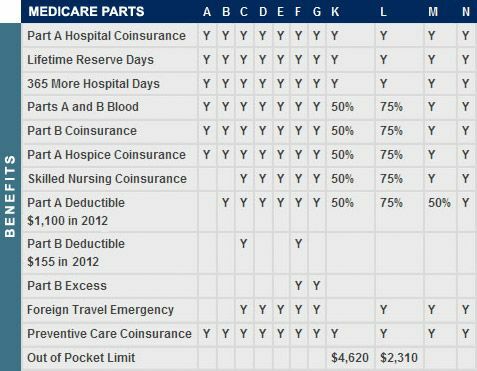 Remember, Plans M and N are generally lower-priced than other Medicare supplement plans for the simple reason that policyholders pay more of out-of-pocket costs that Medicare (Parts A and B) does not cover. For example, Plan M pays half of the Medicare Part A deductible. And, Plan M does not pay the Medicare Part B deductible or for excess benefits but policyholders do. As with any choice, it comes down to what people are comfortable with. Plans M and N might be attractive options for those who prefer lower premiums in exchange for higher out-of -pocket cost.